This Martyr was from Myra of Lycia, born of an illustrious family. Of his own accord he went amidst the idolaters and admonished them to leave off their futile religion and worship the only true God, Who is worshipped by the Christians; for this he was arrested. When asked by the ruler what his name and lineage were, the Saint would answer only that he was a Christian; counseled to offer sacrifice to the idols, he refused. For this, he was hung up and beaten, was scraped, and then was cast into fire, in which he gave up his holy soul into the hands of God, though not even the hair of his head was harmed by the flames. 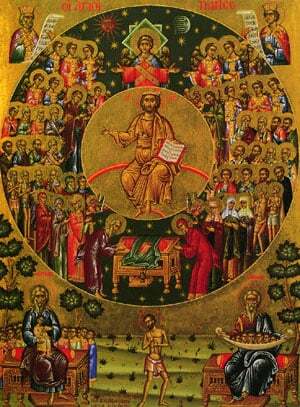 Share the feast of Crescens the Martyr with an icon greeting ecard.